Only recently did I finally take down our outside Christmas lights... including the wreath on the door. We had way too much snow. Then it was way way to cold. But now that is done and I have quickly moved onto Valentine's Day. I could not figure out what I wanted to make to hang on the door. A foam heart wrapped in red yarn? Cute but time consuming. 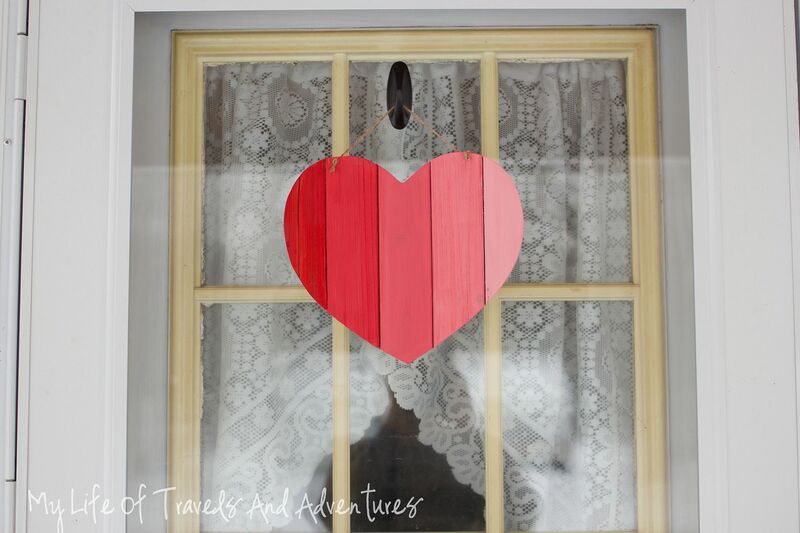 A heart pompom wreath? Again time consuming. So very rare day, I was at the craft store alone (What? I know!) and I saw nothing inspiring in the Valentine's section. 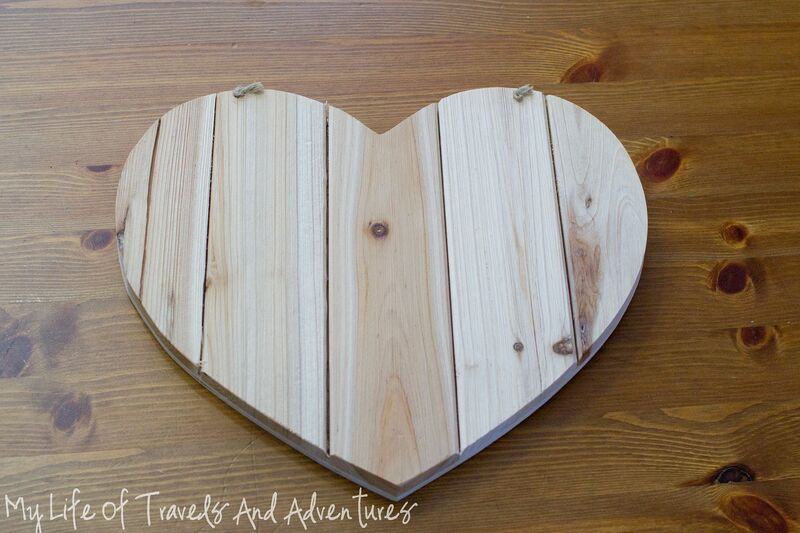 But at the last minute I picked up this wooden heart. Really what sold me was the fact that it already had a string attached. Simple things, right? I came home alone to the house, unloaded shopping bags and then stared at this heart on the table. Now was this time to do something creative. I wasn't limited by nap time and didn't need to worry about an extra set of little hands helping. So I headed into my craft closet mess and waited to be inspired. Nada. I dug around for some red paint and also grabbed a bottle of white, just because. It wasn't until I started mixing colors and trying to make a good shade of pink, that the ombre trend hit me. I was simple. Dark to light. Just keep adding white. No real rhyme or reason to it. Just perfect for Valentines Day! Be sure to follow my Wreath Board on Pinterest for more ideas. Love the heart. I'm glad you didn't walk away! That's just too darn cute! It caught my eye over at The Inspiration Exchange party. Im glad you decided to do it in ombre because it turned out really cute! That is really pretty. I'm glad I found your blog! I look forward to your posts. Super cute. I love your dark to light tones:) Great finds when your alone in the craft store, lol!!! It's great to find Pinning and sharing. I LOVE this! By any chance were you at Michael's? I would love to compliment you by imitating you....actually steal your idea! :) Pinned! Love how simple and pretty. Thanks for sharing at The Weekend Retreat! Found you on Pinworthy Projects. I love quick and easy projects. At first I thought you made the wood sign too, but I'm all for finding raw materials and quickly adding a little color and pizzazz to them. If you're interested, I have a link party going on Wednesday nights through Saturday. Have a fantastic weekend! This turned out so pretty! Glad inspiration struck you and we can benefit! I'm so loving this heart! can you believe I haven't made anything ombre? I have to try that! Love new ideas! Thanks! Very cute! I love how simple it is. I stopped by from Take-A-Look-Tuesday. Love how it turned out! 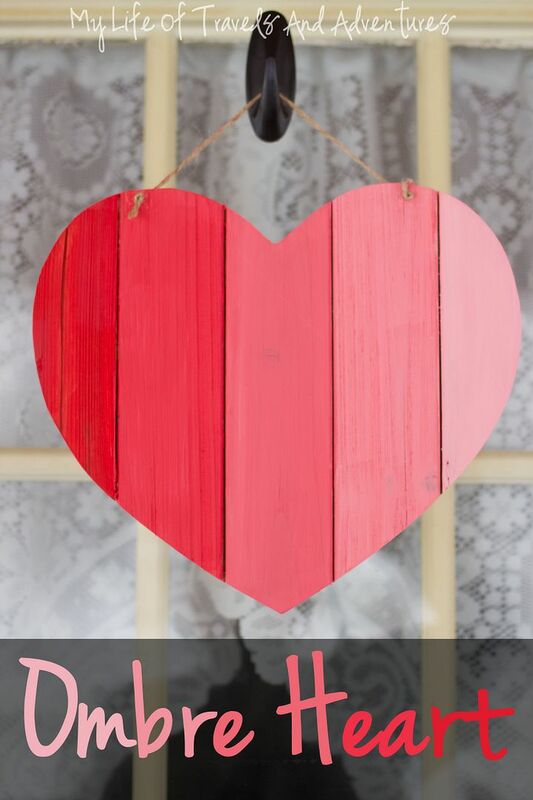 Thanks for sharing @DearCreatives party pinned to my Valentines board. It is the simple things right! Handy not having to string a hanger onto it. Thanks for linking to Take-A-Look Tuesday over at Sugar Bee Crafts - I featured you yesterday on my blog! And pinned your post - great job! Hi Krystal - I love this project! It 's so cute and simple :) Just dropping by to thank you for linking up to Freedom Fridays and to let you know that we'll be featuring you tonight - you can grab a button if you'd like one! We can't wait to see what you share this week! Hugs!! Hi Krystal! Thank you for sharing this wonderful project with us at last week's Get Crafty Friday. You've been featured this week! 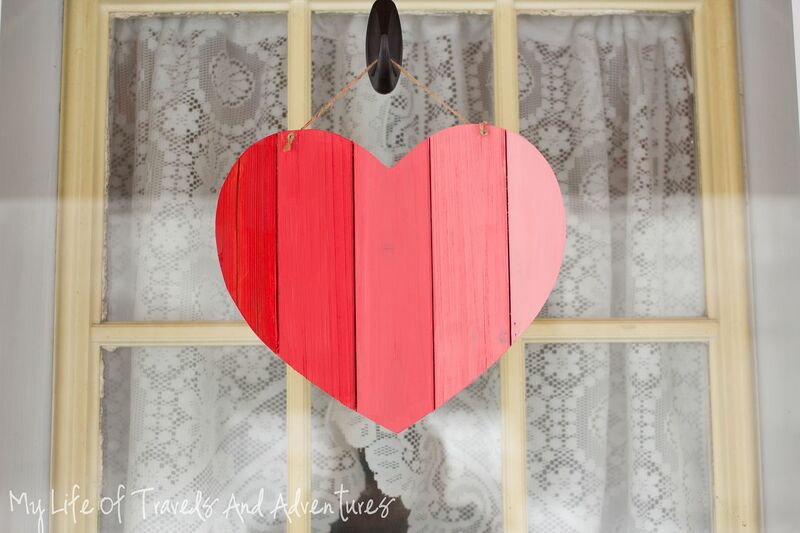 Hope you have a wonderful Valentine's Day! Sometimes simple is always the best!!! 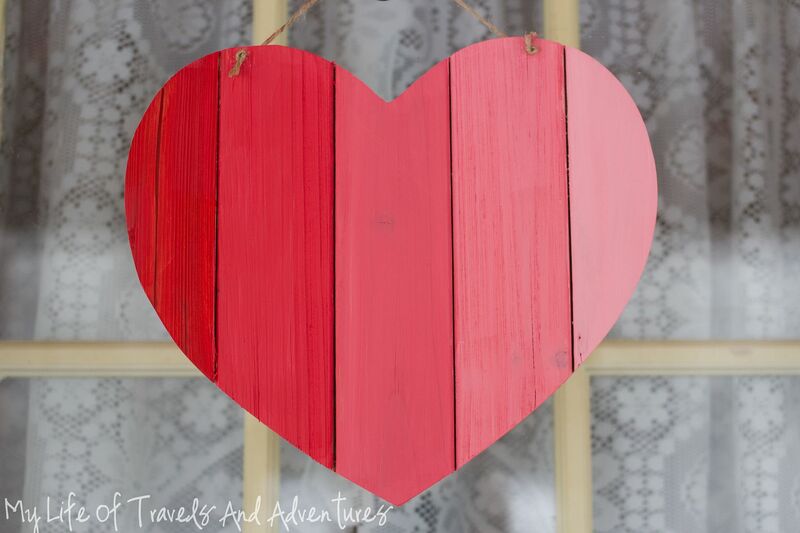 I love this heart (totally coping it:)) So glad to feature it at Freedom Fridays With All My Bloggy Friends this week!!! How pretty and cute. Thanks for linking up at Sweet and Savoury Sundays, stop by and link up again this weekend! So easy but what an effect!